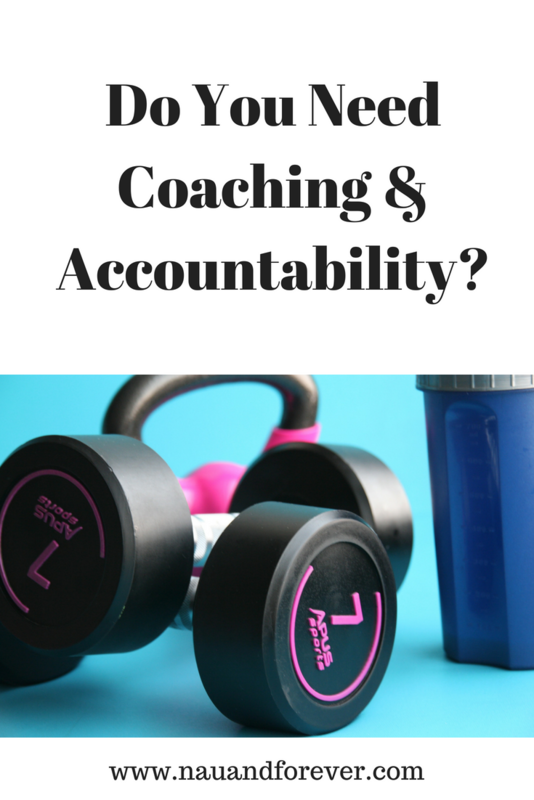 Looking for Coaching and Accountability? My mission is to empower women to love themselves through mindset, health, fitness, and body confidence/self-love. I know how important these things are AND how easy it is to put them on the back burner because you are too busy taking care of other people. Whether you are a working woman, stay at home, or working mom, you have to start filling your cup. You can’t pour from an empty cup, no matter how hard you try. In the last two years, I’ve realized the importance of accountability. Webster’s dictionary defines “accountability” as “the willingness to accept responsibility or to account for one’s actions.” For the majority of people, success comes from owning your actions and being accountable. That’s where I come in. I love seeing people accomplish their goals and helping them by holding them accountable for their health and fitness (and of course, self-care!). I also love helping my clients discover their confidence and breakthrough self-defeating habits to become more empowered and reach their goals! I will help you to become the strong and confident woman you were meant to be. I’ll call you out when you need it and help you develop new habits to change your mind and life! You can get incredible results at home in as little as 20 minutes a day! 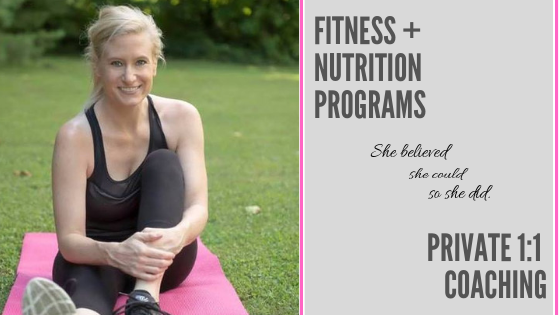 Sign up for a fitness and/or nutrition program (of your choice) that I offer. Private online accountability group with other like-minded women. Fitness programs that you can do from home with easy to follow nutrition plans. Cost: varies depending on program and bundle choice. Current or past customer of mine? Want to dive deeper into your roadblocks to shift your mindset for greater success? We will add in weekly 30 minutes “check-ins” where we will dive deeper into the obstacles and roadblocks that you’re experiencing in your life that are holding you back from achieving your health goals. Cost: $100 per month for weekly 30-minute phone calls – unlimited text and voice support. Are you wanting more out of life? Are you exhausted with trying all the things and not getting the results you want? Are your negative thoughts holding you back? I can help you dismantle the old beliefs and behaviors and help you create new ones that serve you rather than destroy you! If you want to receive life coaching from me, I can help! I will be in your corner as long as you want and need! We will dive deep into your thoughts and mindset. Discover the roadblocks that prevent you from achieving your goals, discover your passions, and learn to take control of your own life. Cost: $300/month for weekly 45-minute phone calls – unlimited text and voice support. Free access to any group coaching program I have going on during the duration of our coaching relationship. What things can we focus on? My mission is to help you discover your inner badass and feel empowered to live the life you want and deserve! Let’s schedule a FREE discovery call! When I work with clients in any scenario, I will give a book recommendation list and journal prompts. I highly recommend that you pick one of these books (or another personal development book of your choice) and spend at least 15 minutes each day reading. Audiobooks and podcasts are great alternatives. Personal development and mindset shifts are huge when it comes to making changes in your life. I believe in fueling your body and feeding your brain. If your goal is to lose 10 pounds and you meet that goal but then turn around and gain 15, something is going on and it has to do with your mindset. When you add the mind work in addition to fitness and nutrition, you are more likely to be successful and stick with your new, healthier (and balanced) lifestyle. If you are interested in working together in any way, I would love to hear from you and see if we would make a great team. Fill out this form, and I will be in touch! 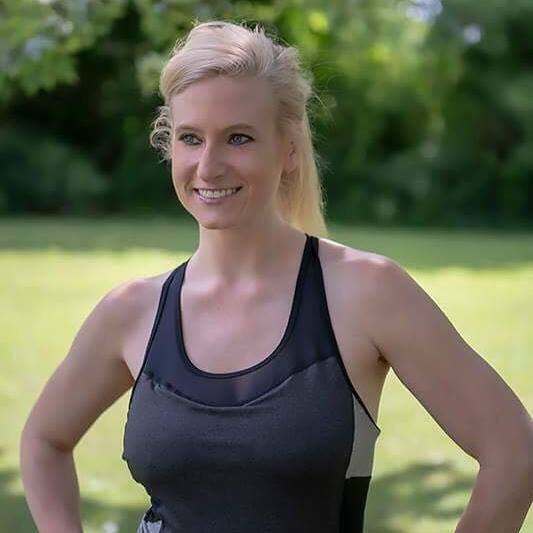 Be sure to join my Facebook group here for fitness, nutrition, and life tips!